MediaGration is experienced in HLS streaming and HLSe security technology, implementation, and integration. Our team will install and setup of media servers (Wowza, EMS, WMSPanel, Adobe). 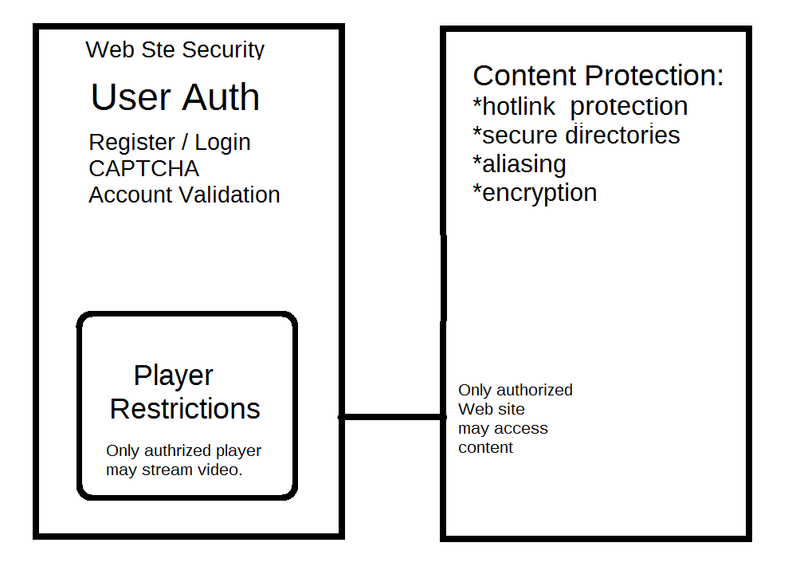 We will implement HLSe security on JW Player, Bit Movin' Player, video.JS Player. We can also implement advanced player features, such as slow-motion, captions, languages, DVR and integrated applications (such as video chat and custom apps and UX). Our technology is plug-in-play, standards-based, and extremely effective at protecting video and audio content from unauthorized access and sharing. We can implement HLS streaming and security in stand-alone environments, Joomla, Wordpress, Drupal and other frameworks. Our Simple DRM Plus (TM) technology and practice, permit us to embed standards-based technology, to protect content from unauthorized access and sharing. Simple DRM Plus (TM) is a technology developed by MediaGration; combining multiple standards-based security technologies, with best practices, to achieve exceptionally strong protection for video and audio content. It is a plug-in-play implementation of Apple's widely accepted HLSe, combined with proven authentication and content protection technologies. Secure Files and Directories prevent unauthorized discovery and access to content (generally, with expired URLs and keyed access). By implementing the above standards-based technologies, publishers achieve the maximum security against compromise and unauthorized sharing. Additional technologies can add additional security - including but not limited to IP address blacklisting, IP address whitelisting, country blocking, SMS verification and more.